Paulo Di Canio has been relieved of his duties at Sunderland. Just something I’ve been working on – with more “issues” to come – for each game of the season (hopefully). 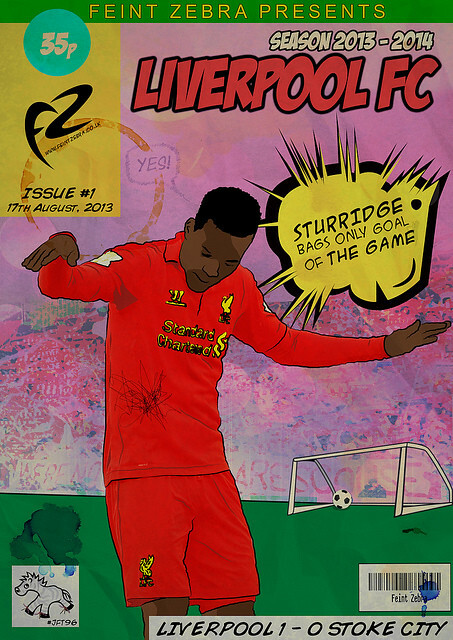 Here we have the first game against Stoke City – where Daniel Sturridge scored the only goal of the game. 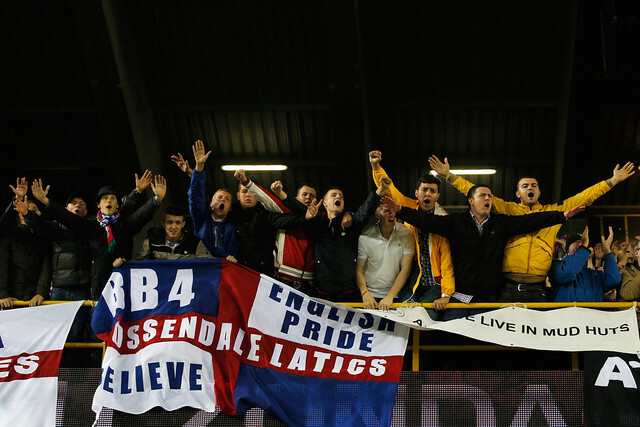 PHOTO: Why Is The Crystal Palace Fan On Left Looking At The Camera? Why look at the camera fella? 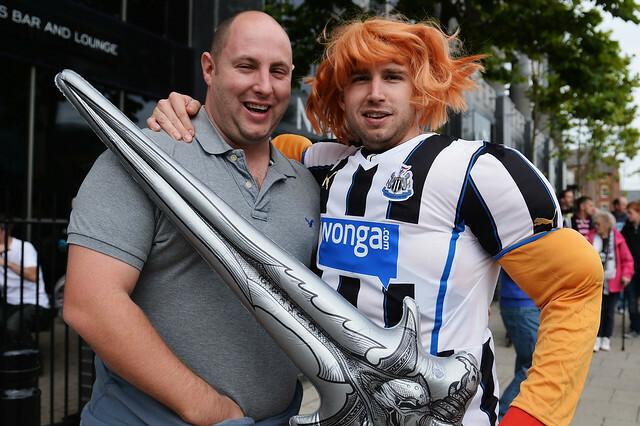 A Newcastle Fan dressed up as something or other before the Newcastle v Hull game. 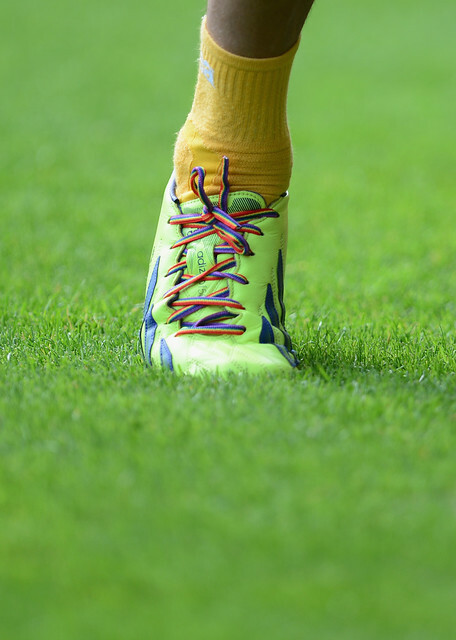 Rainbow laces in action at Norwich City v Aston Villa today. As part if PUMA football’s “Together We Are Rangers” series, Johnny Hubbard Talks About His Rangers Memories. 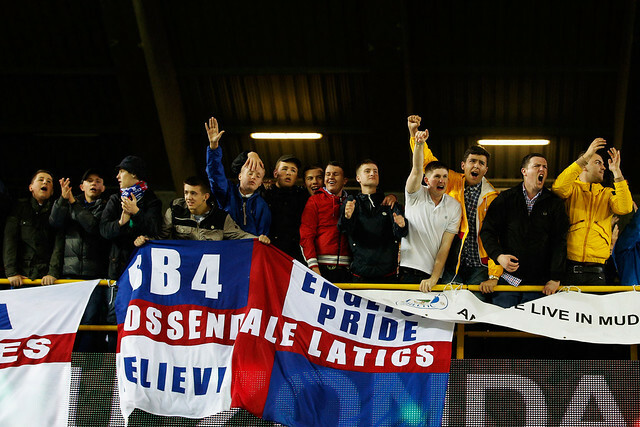 Wigan fans enjoying the atmosphere at the Jan Breydelstadion in their Europa League match against SV Zulte Waregem.